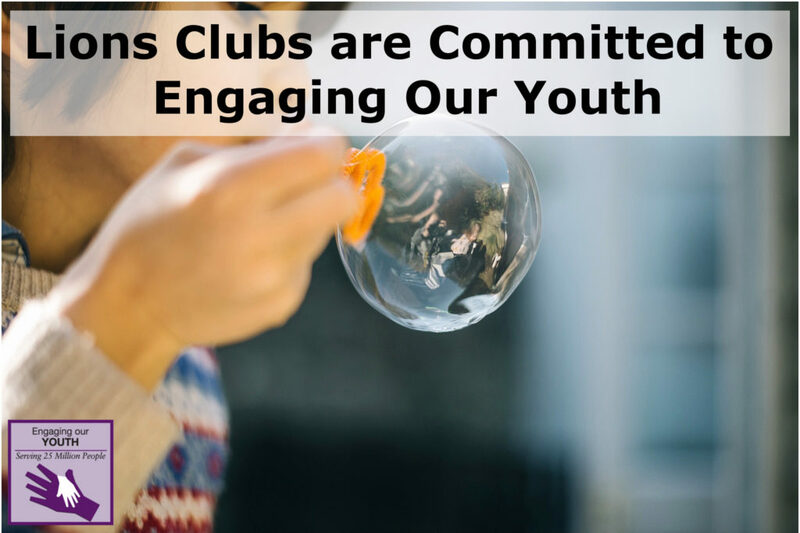 For 95 years the Mishawaka Lions Club has served our community through major investments in our schools, libraries, parks, and amenities such as The Res. 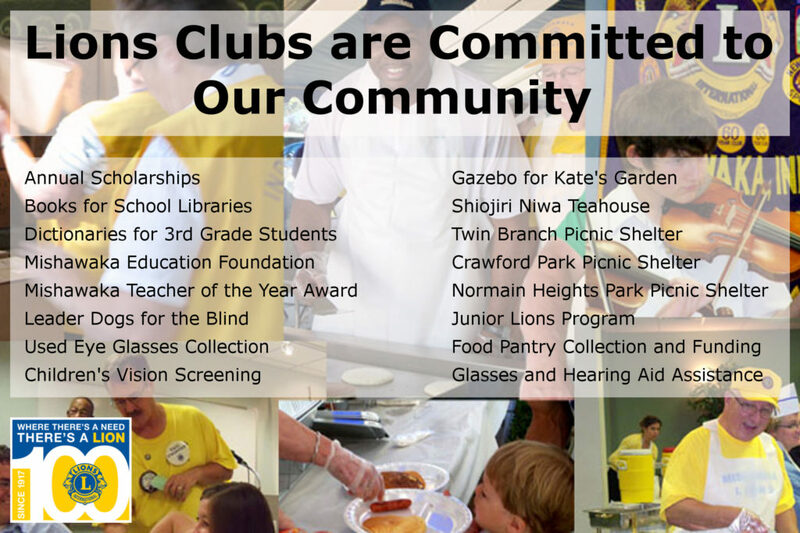 Over nearly a century, our club has also contributed hundreds of thousands of hours of volunteer community service. All the while, we have answered the challenge in 1925 by Helen Keller that all Lions act as “Knights of the Blind” by providing vision screenings to youth, pairing families in need with eye care, collecting and cleaning thousands of used eye glasses for mission trips to Central America, and providing financial resources to match service dogs for the blind and impaired. It is a joy to announce a new way in which the Mishawaka Lions will positively impact the community for generations to come. We have officially established a fully-funded charitable endowment with The Community Foundation of St. Joseph County. 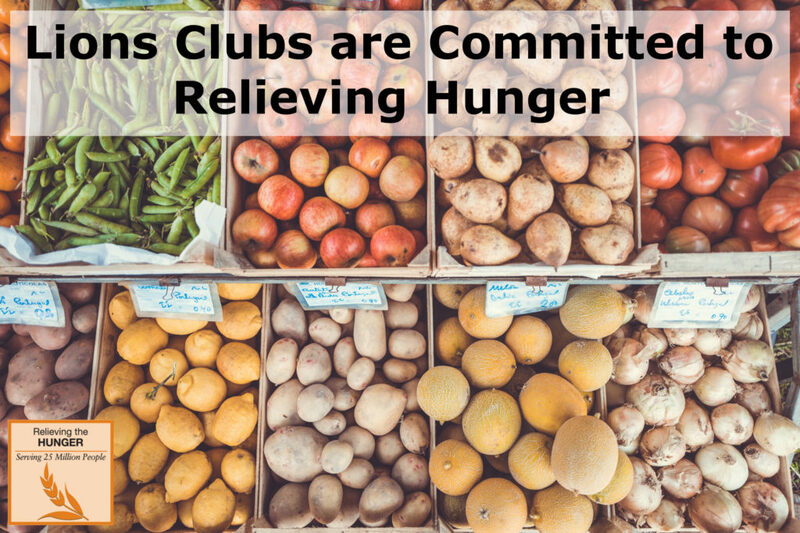 The Mishawaka Lions Club Humanitarian Fund was made possible through the generosity of several Mishawaka Lions Club members and will ensure our ability to tackle larger issues and fund amazing projects. 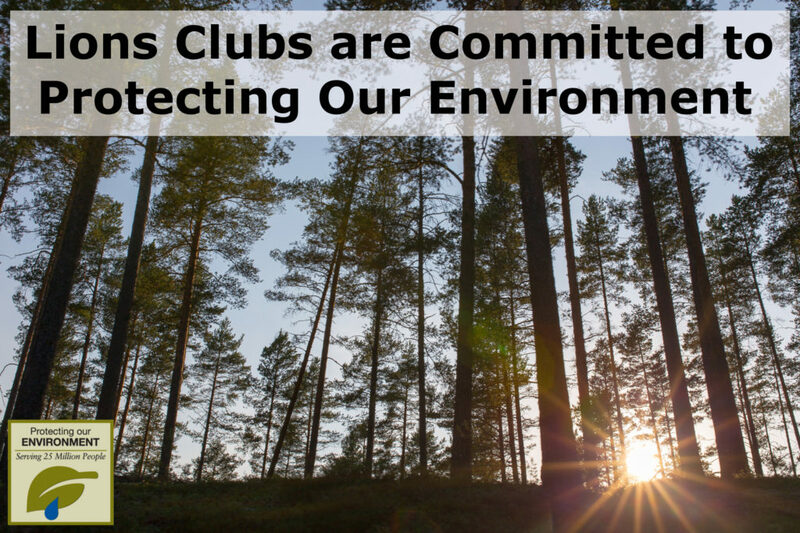 Additionally, the Club’s commitment to growing this endowment will continue to help those in need as we move from the initial 100 years in our community and into the next century of service. We will be celebrating the creation of this fund and recognizing community members who have dedicated themselves to the Lions motto “We Serve” at an awards banquet to be held on Thursday, December 14th from 6:30-8:30 pm at the BK Club, 721 S. West Street, Mishawaka. Tickets are $20. Table sponsorships are available for $300 and include 8 seats. Reservations may be made online by clicking this link or by calling 574-400-5277. If you would like to make a tax-deductible donation to support our efforts, you may do so at this link and selecting “Mishawaka Lions Club” from the “a favorite charity’s endowed fund” option. 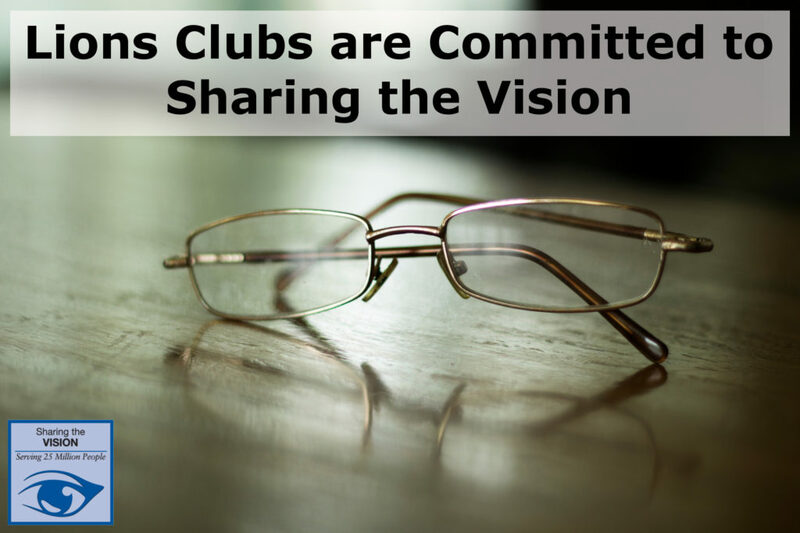 Alternatively, checks can be made out to “Community Foundation of St. Joe County” with note “Mishawaka Lions Club” to direct your contribution to our charitable endowment.